What do we learn about Tolkien’s imagination through his short stories? Through his poems? Through his scholarship? Through his books for children? Tolkien’s Middle-earth legends dominated his creative life, from their birth in the early Silmarillion tales through their absorption of Bilbo Baggins’s diary and their culmination in the tale of the Great Ring. However, throughout his life, Tolkien wrote many small pieces of prose and verse that were not directly drawn into the great narrative of Middle-earth. 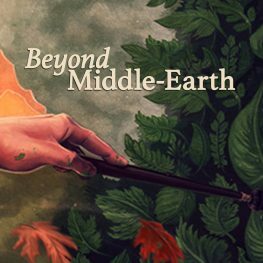 Tolkien’s children’s books, his scholarship, his short stories, and his eclectic short poems combine to provide a unique glimpse into Tolkien’s thought and imaginative development over the course of fifty years. Join Signum President Corey Olsen and the great Tolkien and Anglo-Saxon scholar Tom Shippey for an in-depth look at a J.R.R. Tolkien you might never have met before. Auditors (any level) can register using the link below. New MA or Certificate students should apply to the program. Existing MA and Certificate students should contact their Student Advisor.